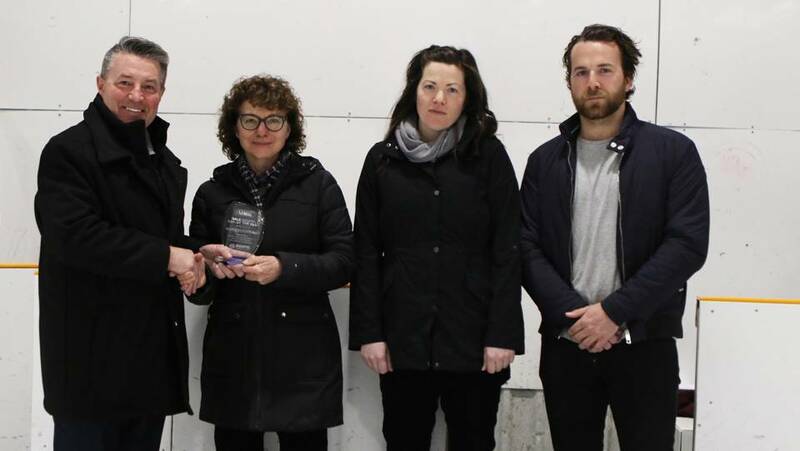 The Dale Rempel Man of the Year Award recognizes individuals who have made a significant positive impact in the South Eastern Manitoba Hockey League (SEMHL) and their community. It honours an individual who leads by positive example through on-ice performance, motivation of team members and a dedication to community activities and/or charitable causes. Wayne grew up in Mariapolis, Manitoba. He attended the Somerset and Notre Dame de Lourdes Collegiates, where he met his wife Clémence. They married in 1978 and settled in Gladstone, where they raised three children who grew up either at a hockey rink, ball diamond or beer garden. During his 17 years in Gladstone Wayne coached youth baseball and fastball, as well as minor hockey. He was instrumental in the establishment of the Gladstone Lakers senior hockey team and the Gladstone Whips fastball team. He was president of the arena for 14 years and was also a volunteer paramedic. The family moved to Winnipeg the summer of 1994. Immediately Wayne became part of the MMJHL’s Charleswood Hawks organization, first as general manager and then president. At the time of his passing, Wayne was also President of the Tiger Hills and the Southeast Hockey Leagues. Wayne also found a home with the Smitty’s softball organization and the Holenskis in 1995. He coached for 10 years and naturally became their president in 2004. In addition to playing and coaching, Wayne also served as an umpire for over 45 years, officiating at local, rural and northern tournaments as well as numerous western and national championships as a member of the Blue Crew. He instructed countless umpire clinics in Winnipeg and Northern Manitoba. He was the 2010 to 2015 Provincial Umpire-in-chief and served on many softball boards. Accepting the award is his wife Clemence and daughter Lisa. Bob worked behind the scenes for over 50 years, faithfully and accurately maintaining the SEMHL stats and books. After each game he would pluck away at the keys of his computer entering every assist, goal, and penalty so fans could view the game results on the very same night. Bob passed away in 2018 at the age of 81. Bob was SEMHL President from 1974-76; Secretary/Treasurer 1976-79 , 1993-95; Treasurer 1996-2018 and Statistician 1995-2018. Bob loved the game of hockey and all that it encompassed. He humbly gave his time and expertise to the SEMHL, dating back as early as the 1960’s, before records were kept. Bob is a worthy recipient of this award; he supported the South Eastern Manitoba Hockey League and his community in many ways. Congratulations to Sybil, Rob and Mark as we honour the legacy of Bob, your husband, father, and a true community man! Scott is the captain of the Warren Mercs and demonstrates true leadership on and off the ice; when he speaks, the players stop and listen. In addition to his role as a player, Scott acts as the team’s general manager; scheduling practices, ice times and refs. He even drives the bus! He is a director for Interlake Minor Hockey and coaches his son’s Atom team. Scott also contributes to his community as a two term R.M. of Rosser councilor. He volunteers at school and church. Scott gives back to his beloved game of hockey and is a proud contributing member of his community. 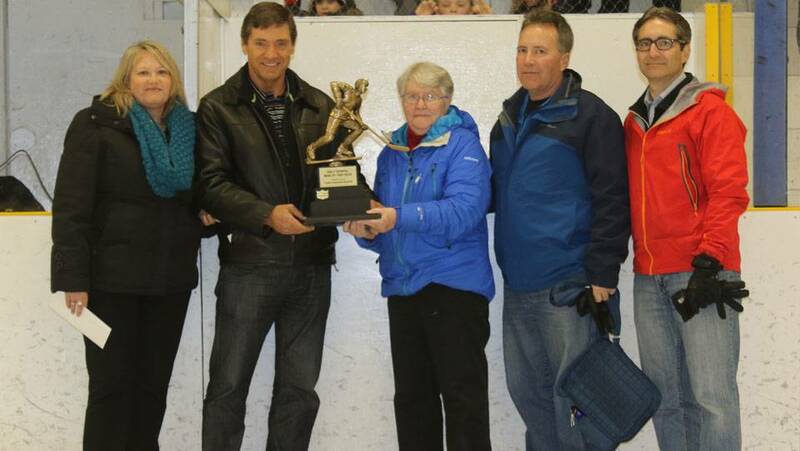 The league executive established this award to recognize a player who exhibits Dale’s passion for the league, volunteerism, community and hockey in the province. It recognizes qualities that he valued and lived during his lifetime. The league approached and worked in conjunction with Lynn Rempel to create an award that would recognize an individual that exhibited strong leadership. Lynn believes sport teaches valuable lessons and develops leaders of the future. She strongly thinks we can build off of Dale Rempel’s legacy of leadership on and off the ice. 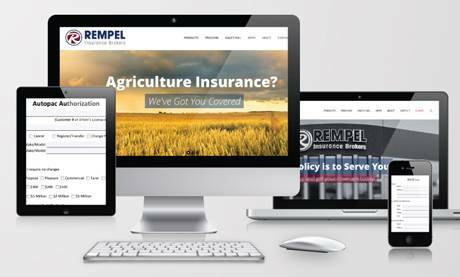 The Rempel Insurance Team is proud to be the sponsor of this award and was directly involved in designing the annual trophy that is presented to the winner of this prestigious award. 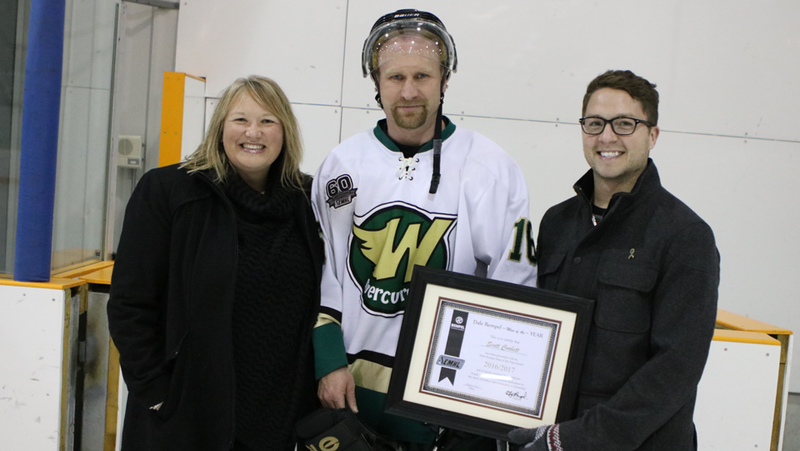 Brendan Heppner, a former SEMHL player, created the annual award design. The awards namesake, Dale Rempel (1923-2012), played in the SEMHL for 13 seasons with the Morris Stampeders, Morden Redskins, and the Carman Beavers. His 614 points in 326 games makes him an all- time top 10 scoring leader for the SEMHL on the ice. He was instrumental in the return of the Manitoba Stampeders’ hockey club to the SEMHL and for establishing the MMJHL Pembina Valley Twisters in their new home in Morris. He coached and supported minor and junior hockey for many years. 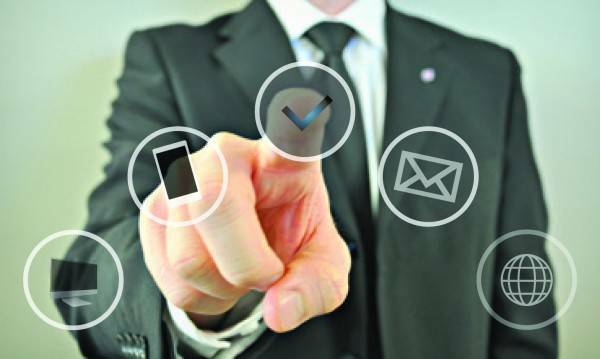 He volunteered for many community organizations and nationally with the Insurance Brokers of Canada. He was involved in raising thousands of dollars for the Children’s Wish Foundation and for Cancer Care Manitoba. His most prestigious recognition was being presented the Queens Jubilee Medal in 2012. Those who knew Dale, knew that recognition was not why he did what he did. He just wanted to give back. His greatest joy was contributing to his community and to hockey which he felt had given him so much. Award Nomination Process: Each team in the SEMHL may submit an individual in writing with a brief explanation of how and why they believe their submission should be considered for the award. This submission should be based on meeting the following criteria: Leadership on and off the ice. Commitment to his team, to his community, and to his future. This individual needs to be involved in his community; is a volunteer; is currently giving back to the game of hockey. His dedication can be either demonstrated through work or education, or both. The recipient is recognized to possess many of the following qualities: passion; solid work ethic, willingness to help others and give back to community. Only one person is selected each year to receive the award.